So expect a lot of Zelda themed crocheted creations soon!! What should January’s Theme be: Zelda or Mario? Vote on next months theme! Whichever wins will get the whole months patterns and projects dedicated to them! I’m super excited for either so vote away! 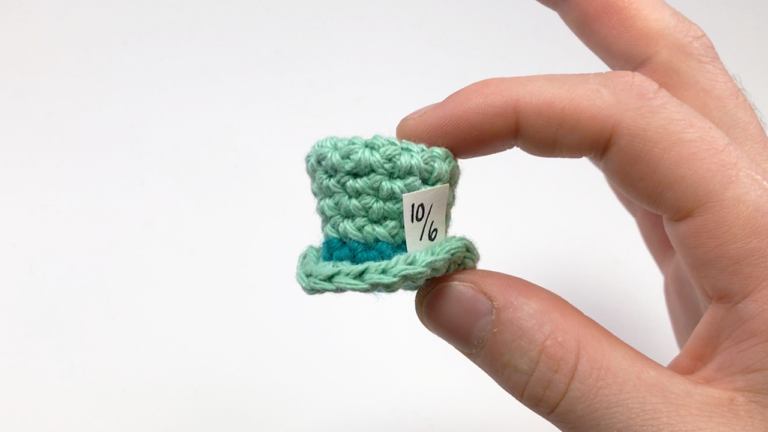 For this pattern I decided to stray from amigurumi and thought making a hat would be pretty fun. 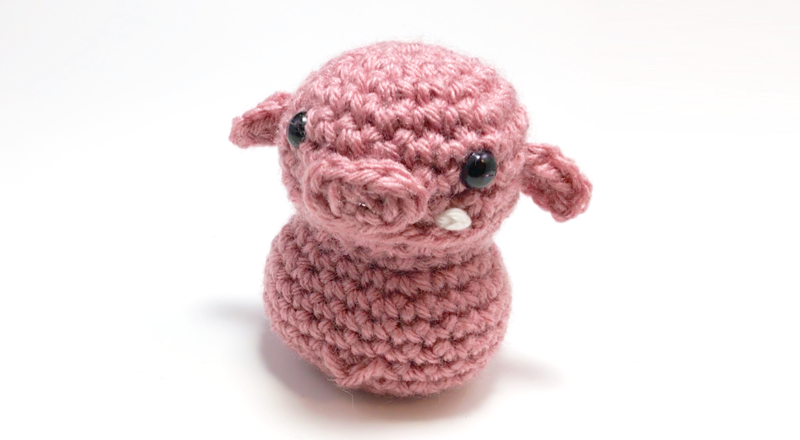 It’s a bit longer of a pattern, but can still be made in just a couple of hours! This Rnd will be the length of the hat and it’s size depends on what size you made and personal preference. I personally like my length to be 12 Rnds. It should reach just above your ear lobes when worn. 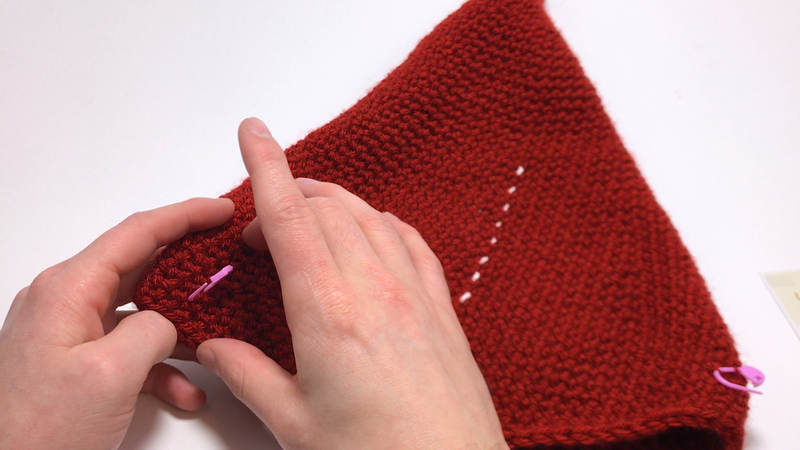 (34:45) If you’re adding the Button-on Elf Ears [See page 6] sew on buttons where your ears are when the hat is on your head. This means you pull 1 loop through the ch, then pull a loop through the rim st, then yarn over and pull through all 3 loops on the hook. Finish Row 3 by sl.st into the next 3 sts on the rim. Repeat Rows 3 and 4 around until you reach the beginning chs. When you reach a button, ch 1 and skip a stitch. Button holes should go 4 sts above the rim. Turn, ch 2, Working in the BLO, hdc in each st down stoping 4 sts early (for me that’s 8 hdcs), ch 1, skip a st, then continue as normal. Turn, don’t ch, skip the 3 sl.sts, Working in the BLO, hdc 3, ch 1, skip a st, then continue as normal. 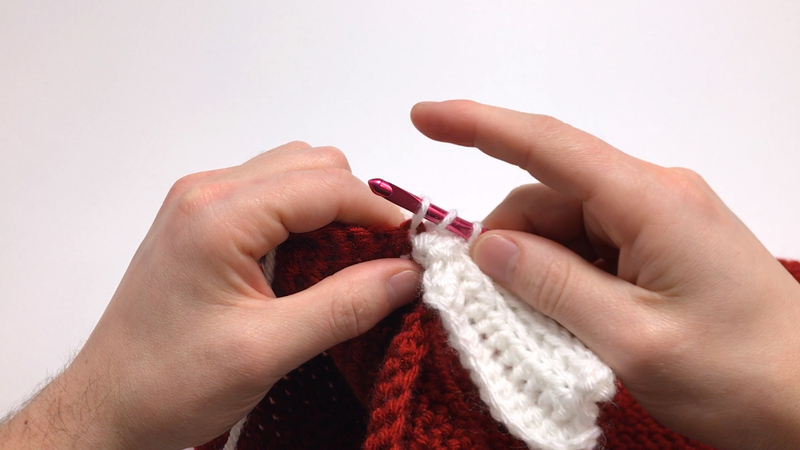 When you reach the end (you should be just finished with your 3 sl.sts) pull your crochet hook out, place your crochet hook into the 1st ch you made before Row 1, pull your loop through. 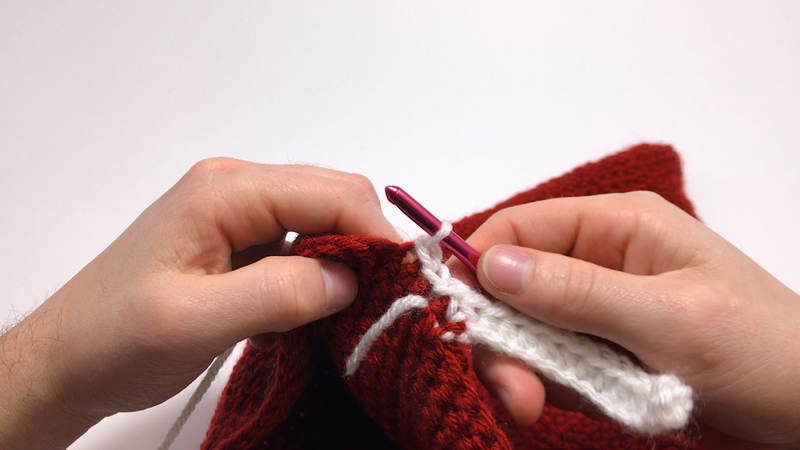 Working in the BLO, hdc in each st up stoping after each st to pull your crochet hook out, place it in the next ch, and pulling your loop through. When you get to the top, ch 1, cut and pull through. Hide the end in the seam down. 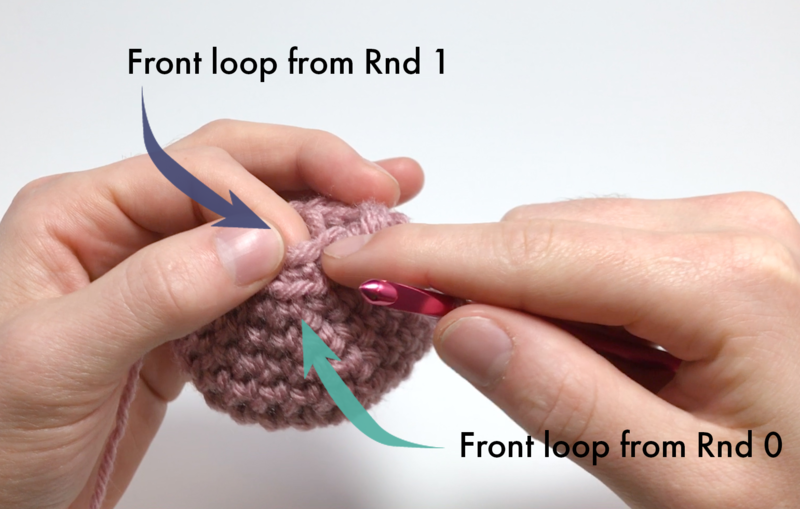 Hold the yarn in your palm with your thumb in between your index and middle fingers. 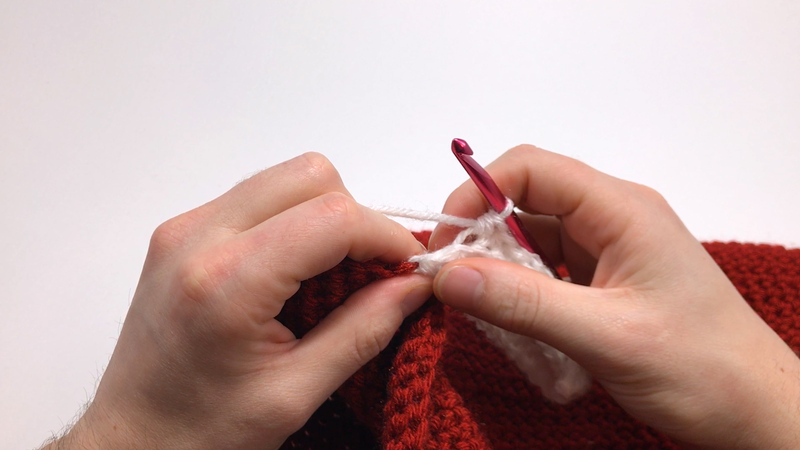 Begin wrapping the yarn around your two fingers. Wrap the yarn many times around. The more you wrap it the more dense your pom pom will be. 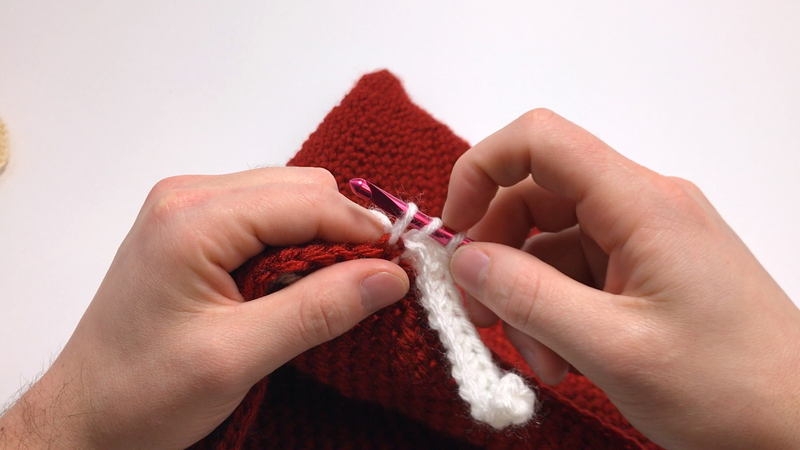 Cut the yarn and place the newly cut end into the gap between your hand and the wrapped yarn. Wrap the pulled through yarn around the outside and through the gap again 2 more times. Pull tight and remove the yarn from the fingers. Double knot the ends and tie it tight. Cut the loops. Make sure all the loops are cut. 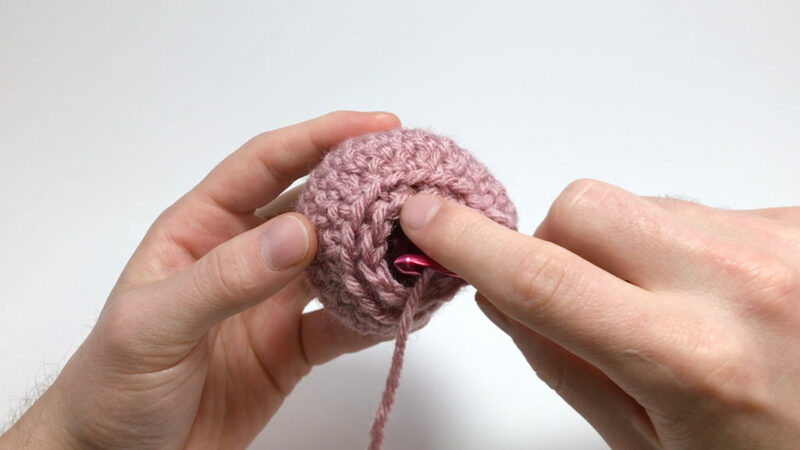 Trim the pom pom so that the ends are even and it’s more of a sphere. 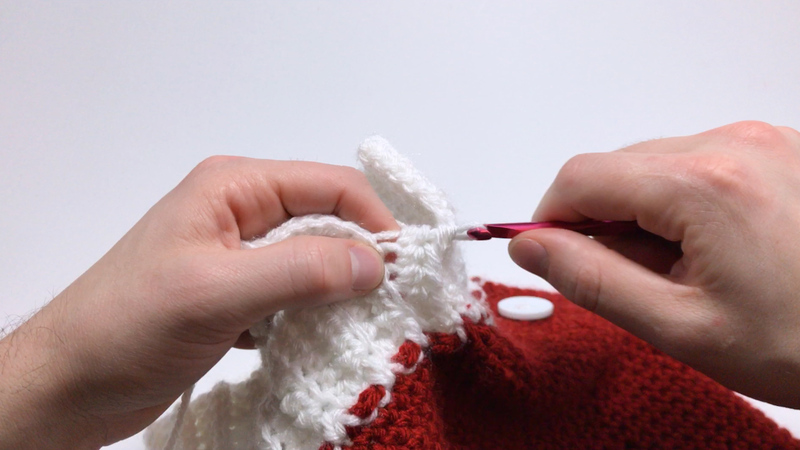 Now begin sewing the pom pom onto the top of the beanie. Double knot the ends on the inside and cut them close. You can hide these ends in, but it’s not necessary. Probably my favorite part about the Santa Hat pattern are the button-on Elf Ears you can make and add to the side of your Santa Hat! And you can remove them at any time so you’re not stuck as Santa’s helper forever. 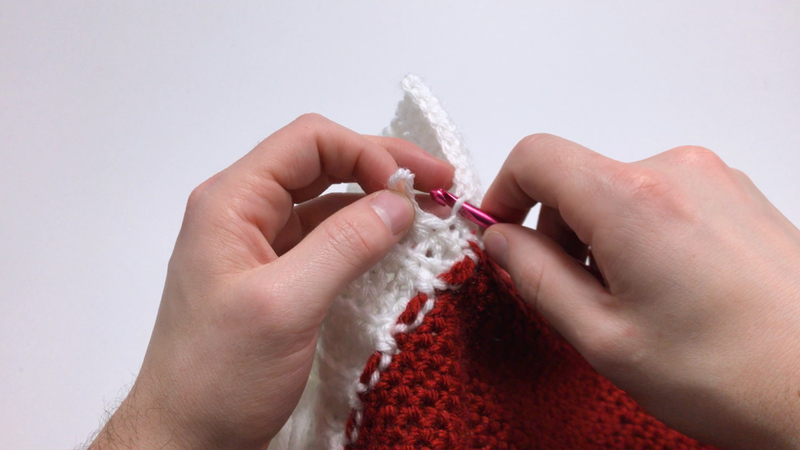 This part of the pattern is a Club Crochet Exclusive meaning that you’ll need a membership to access the pattern. You can learn more about the other benefits of a membership and upgrade you’re account here! 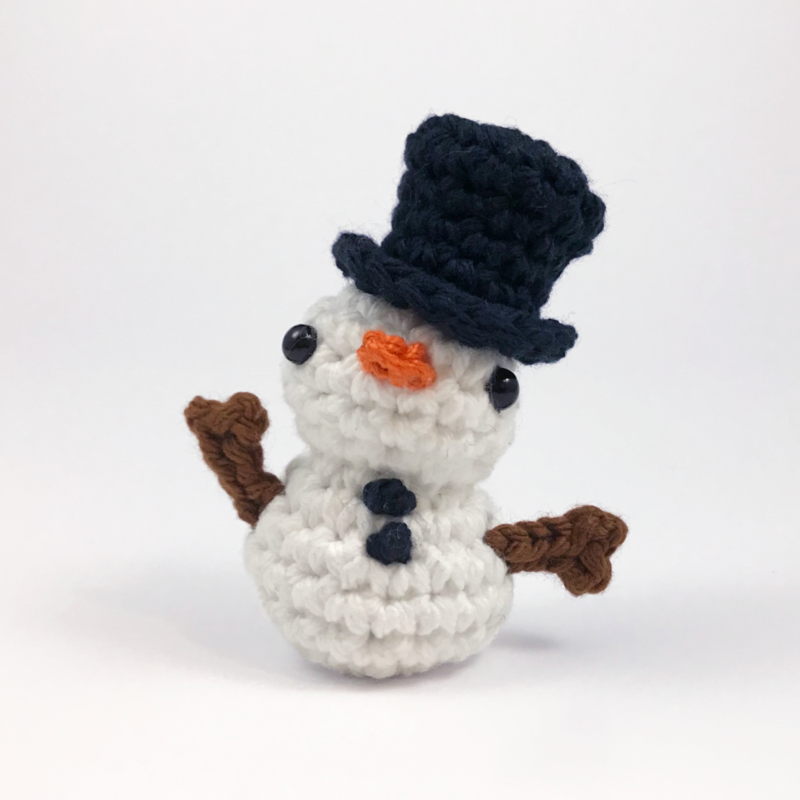 Came up with this new technique that I’m calling the seamless seam when I was writing the pattern for next Monday’s Snowman pattern (if you know the real name please let me know in the comments!!). It’s made so you can get the look of something being sewn together without actually having to sew two pieces together! Want this piggy pattern? Let me know in the comments! Now, for the next Rnd you’ll be working into the front loops from Rnd 1 and the previous Rnd too, lets call it “Rnd 0”. The problem is, there are more sts in Rnd 0 than there are in Rnd 1.
and every other back loop from Rnd 1 gets an increase. Now you can continue on in your pattern. 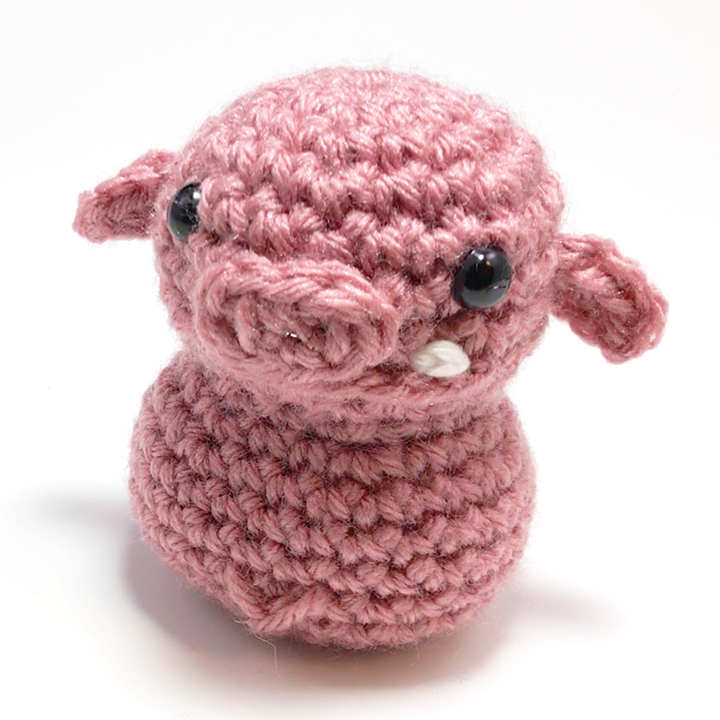 If you do an increasing Rnd (ex: [sc 2, inc] x 6) you’ll get more of a fat body, like my little piglet guy or a Snowman. 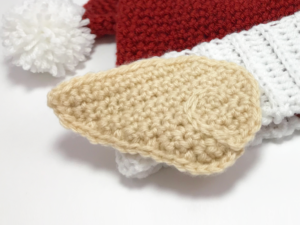 I'll be giving away a free month to Club Crochet to some of my favorite uses of this technique. 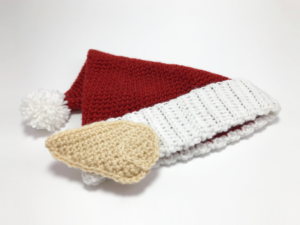 Post a picture to Facebook, Instagram, Twitter, or Crafty Amino with #ClubCrochet for a chance to win! 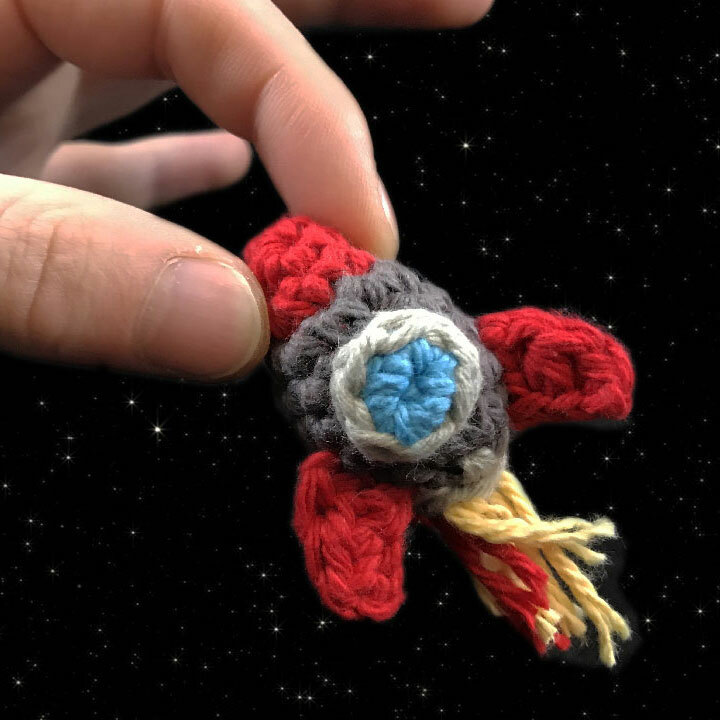 Made this crocheted rocket last year for a space themed baby mobile! Thought it would make a really cute keychain, or I could make it with thread instead of yarn and turn it into earings! Sl.st into rst sc made, cut and pull through leaving enough to sew onto the body. side! Make sure to watch for rogue meteors and space debris.